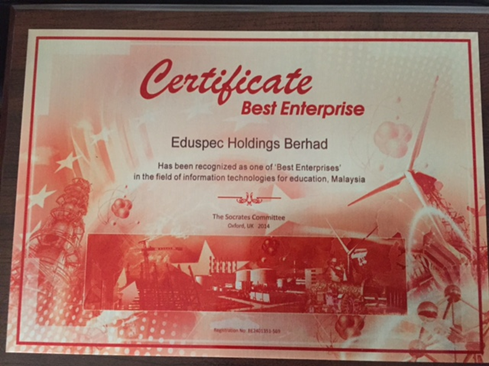 The Europe Business Assembly (EBA) and Socrates Committee awarded Eduspec Holdings Berhad as one of the Best Enterprises in Information Technologies for Education Malaysia. 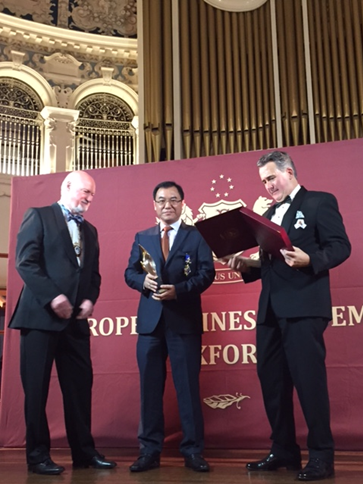 E H Lim is awarded Manager of the Year for his outstanding leadership at Eduspec. 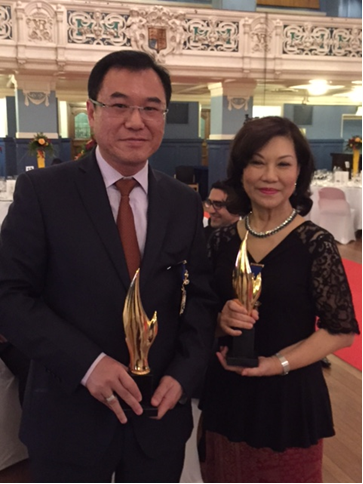 The prestigious award ceremony took place on 14 October at the Oxford town hall, United Kingdom. The Socrates Award Ceremony is the highlight of the three-day Leaders Summit organized by the EBA. The awards selection process is based upon the recommendations of the EBA partners. These partners include the European Market Research Centre (Belgium), Baden-Vurtennberg Export Academy (Germany), the Association of Consultants and Marketologists (Czech Republic), the Institute of Quality Standards (Switzerland) and the International Congress of Industrialists and Entrepreneurs (Moscow, Russia). The process also includes data collected from national and international ratings. EBA, Oxford, Great Britain is an independent corporation for development and management of economic, social and humanitarian collaboration. As a non-governmental organization, EBA promotes transformation of state-of-the-art experience and economic practices, establishment of economic, educational, cultural, and scientific ties, creation of national business elites. Creation of a positive image of dynamically developing regions, companies and individuals in the European and global business community is the main mission of the EBA institutions and representative offices, and of its strategic partners. For more information on EBA and the Socrates awards, please visit www.ebaoxford.co.uk.